GORE-TEX. It’s all the rage in ski apparel circles, and for good reason. Spyder, always on the forefront of ski apparel technology, recognized this and decided the time was now to incorporate this technological innovation into one of their fan-favorite jackets. The Spyder Leader Jacket is like a fine wine; it’s only gotten better the longer it’s been around. In the Spyder line for years now, the Leader Jacket continues to be a trailblazer for ski jacket design in the industry. Spyder decided that, despite being their best-selling jacket, the Leader should continue to push forward; the 2019 Leader Jacket will be the first in the lineage to use a GORE-TEX fabric to ramp up the element-fighting abilities to newfound levels. Before we dig deeper into the Leader Jacket, let’s take a brief intermission to discuss what GORE-TEX is for anyone who may be unfamiliar with it and its benefits. The GORE-TEX brand was created in 1978 by Bob Gore, who discovered what would be the basis for GORE-TEX technology: a new polymer now known as extended polytetrafluoroethylene (ePTFE). That’s a long word that’s very difficult to say, but all you need to know is that the stretching of ePTFE forms a microporous material with over 9 million pores per square inch. These microscopic pores are approximately 20,000 times smaller than a droplet of water, but 700 times larger than a molecule of water vapor. Essentially what this means is that, when bonded with the fabric of a jacket, water is incapable of penetrating the exterior of the jacket while sweat can pass through the membrane and out of the jacket with ease. For this reason, GORE-TEX’s slogan is “Guaranteed to Keep You Dry”, both from the falling rain and snow as well as uncomfortable and chilly sweat. So, in what ways does the addition of GORE-TEX to the Spyder Leader Jacket benefit you, the consumer? Well, as is expected, the waterproofing and breathability abilities see a significant bump. The 2018 Leader Jacket had waterproofing and breathability ratings of 20k/20k, whereas the 2019 version comes in at 28k/25k. This is a quite noticeable upgrade. 20k/20k is good, but 28k waterproofing is among the very best available on the market and 25k breathability allows for the maximum evaporation of sweat and water. Weatherproofing of this nature can handle anything that mother nature will throw at you, whether you’re solely a resort skier or plan on going high up in the backcountry of the mountains. With the power of GORE-TEX, you can be truly confident that you’ll stay dry no matter what the weather report shows. Add that to the fact that the Leader is also completely windproof, and you’ve got total weather protection for any situation. GORE-TEX is a big reason to wear the Leader Jacket, but it’s not the only reason. It also comes well-stocked with a skier-centric construction and features that allow for maximum enjoyment of the mountain. Providing warmth on frigid winter days is one of the main functions of a ski jacket, and with the use of 3M Thinsulate insulation, the Leader Jacket passes that test with flying colors. This particular brand of insulation is known in the industry for its combination of heat-trapping abilities and low-profile design. 3M Thinsulate insulation is warm yet lightweight and thin, meaning it doesn’t inhibit your freedom of movement or breathability. The Leader’s 100g of 3M Thinsulate is more than enough for consistently cold temperatures in mountain climates; warmth won’t be an issue with the Leader Jacket. Performance-oriented, the Leader Jacket also has features such as a powder skirt, a helmet-compatible hood that is removable and adjustable, pit zip venting and fully-taped seams. All of these work in unison to give you the highest level of protection, comfort and versatility so you are prepared for anything your ski day throws at you. We would be remiss to not mention the style of the Leader Jacket too. Slimmer and more agile than in year’s past, the Leader is super sleek looking while still allowing room for layering. It comes in with over a half-dozen unique color combinations that are polished and modern looking. With the Leader Jacket, there is no sacrifice of style with performance. See for yourself on the Spyder Leader Jacket 2019 product page. The move to GORE-TEX is a big step forward, but the Leader isn’t alone; Spyder is updating all of their men’s and women’s ski jackets and pants with new GORE-TEX fabrics. The decision to make all of their apparel GORE-TEX should tell you all you need to know about the quality of the material. Spyder has a wide array of ski jacket and ski pants for both men and women, and to go all-in on GORE-TEX signals that they truly believe it is not only the future, but the here and now for ski apparel. 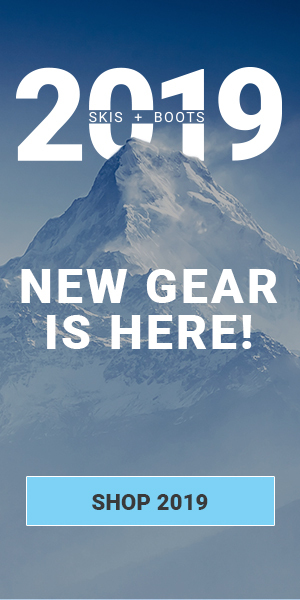 To see all the other Spyder jackets and pants that got the GORE-TEX treatment, check out the full selection of Spyder 2019 ski apparel. Visit our Spyder Brand Page to see all the great gear they have for the whole family, including all their top-sellers and newest arrivals. Ski smarter with the Skis.com Blog. Visit our homepage for in-depth news and information about the latest in ski gear, apparel and everything else skiing.